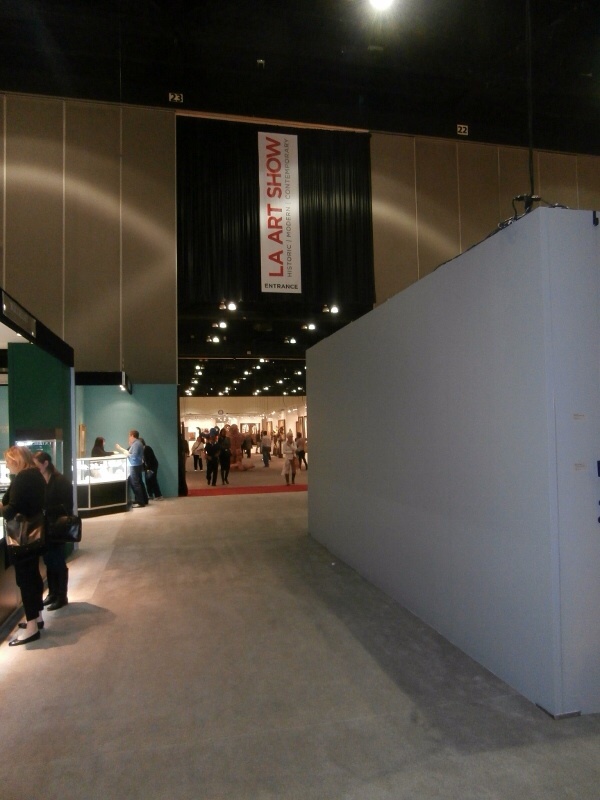 The Los Angeles Jewelry, Antique and Design Show, which was just here at the Convention Center is one event that will not be easily forgotten. Calling it an Art Show would not be doing it justice. In all the shows put on there over the years, this one has to be the one best thought out and thoroughly planned. And you have to throw in comprehensive since the variety of what was viewed here included just about any direction you would want to go. It was a continuous platform for some of the most provocative and inspiring exhibits in the world. Sparking global art trends, the show was a stomping ground for established artists and launching pad for emerging talent to showcase what’s now and next in the art world. The list of what was there just goes on and on. It was the first to feature an exhibition of graffiti and street art. In the show last year, it brought out for the first time “Letters from Los Angeles”, an unforgettable array of works of Ed Moses, Ed Ruscha, ShepardFairey’s Diamond Dust series and new revealing photography by Dennis Hopper. Commenting on the culinary aspect of the event was a tantalizing sampling of food from all parts of the world, locating at strategic points throughout the room. You have to add to this just about any type of fine wine and liquor you could ask for to complement whatever food item you happen to choose. In addition, a glance around and you would find jewelry show cases of glittering diamonds, rings, necklaces and watches from all the high profile watch makers. 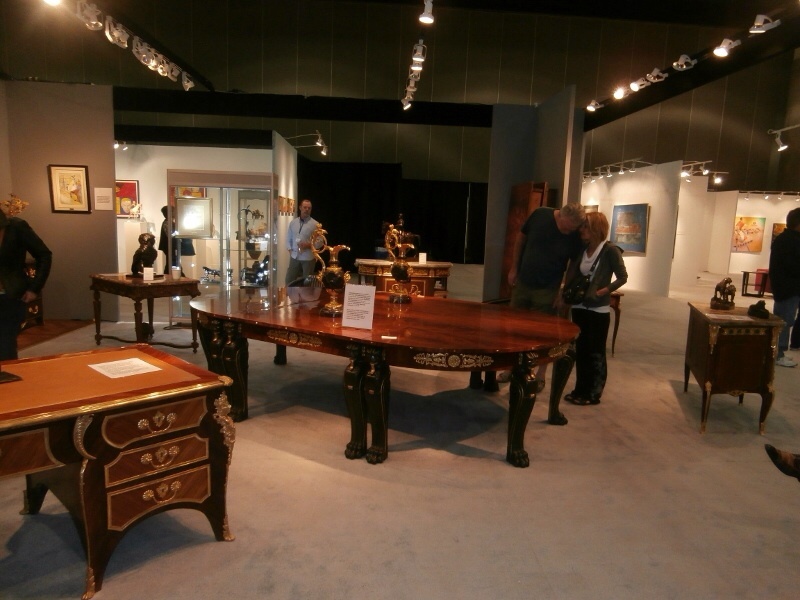 And let us not forget antique furniture from the world’s antique furniture showrooms. One especially standout item was a dining room set from the French Empire period which proved to be a real crowd pleaser. One surprise item. Off in a remote corner of the show and totally unexpected was a showroom of Volvo cars, showing the latest models. There were also seminars featuring guest designers and artists at select moments which certainly augmented the occasion. A special thank you has to go out to the 2014 Host Committee for their invaluable help in bringing all this together. They include Mayor Eric Garcetti, council members Tom Labonge, Curren D. Price, Jr and Mitch O’Farrell. Here’s looking forward to the next year! !